I recently bought some “Kylie Cosmetics” lip kits last week. A first for me to buy any of her products, but recent positive reviews from friends and cosmetologists had me intrigued, so I signed up for the email alert list. 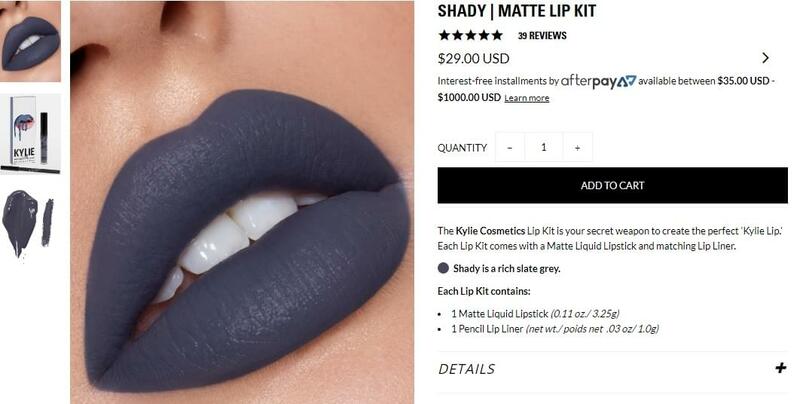 Is Kylie Jenner’s success based on Kardashian hype or really great products? Each lip kit contained a full size lip matte or liquid velvet lip color and also came with a matching lip liner. The $75 online special for the set of 6 kits seemed like a really great deal if the products held up to my high make up standards. Some people have a hard time getting Kylie products because they can sell out quickly. I got an email alert telling me I could buy this set right now, and I acted quickly. Want to see my live in studio unboxing and first try on??? 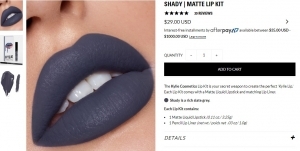 I’ve only tried one color (SHADY) so far, but that’s all it took for me to be impressed with the high quality feel and coverage these products had. 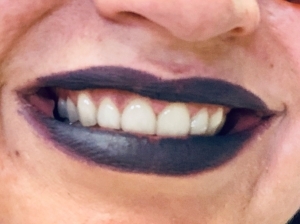 In the past, I have easily spent above $20 for a lip liner or lipstick that was sold separately, because what goes on your lips has to look good, feel good, taste good, and LAST. 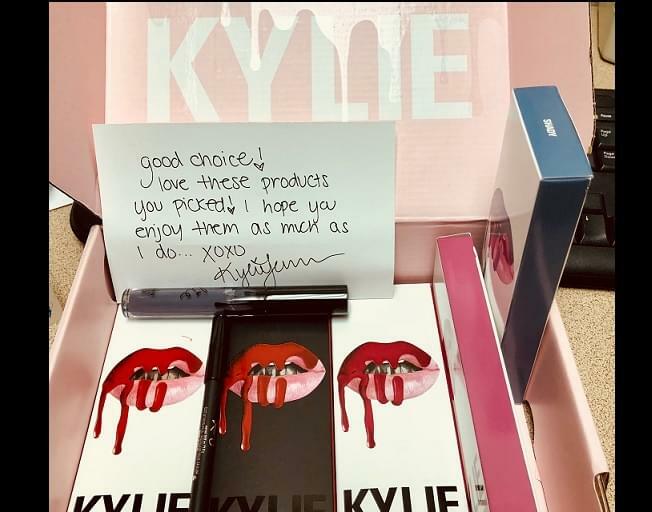 Kylie’s kits run $29.00 online for the lipstick and liner. Here is a close up of my lips wearing the SHADY color, one hour after application, including multiple drinks of my water bottle and coffee cup. Kylie’s products passed all of my tests and then some. Thanks for watching!